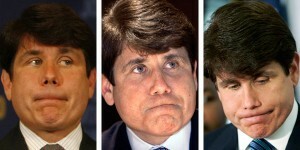 (If) I Did It: The Rod Blagojevich Story « So Sue Me Jackass! Congratulations! I’ve just learned from the New York Times that you, too, have a book coming out this month. And from what I understand, your book is not so different than ours! Interestingly enough, SO SUE ME, JACKASS! also specifically deals with the boneheaded, ill advised and mentally screwy decisions people make that fly in the face of better judgment and/or the law. Sir, I say this with all due respect, particularly since not much respect is due: seriously, dude, what were you thinking? You have already secured a place in the pantheon of dumb and disgraced public officials, cheek by jowl with the likes of Charles Forbes, Boss Tweed and Boss Hogg. What more could you possibly want? This entry was posted on Tuesday, September 8th, 2009 at 10:31 am	and is filed under Shoulda Read Our Book. You can follow any responses to this entry through the RSS 2.0 feed. Both comments and pings are currently closed.